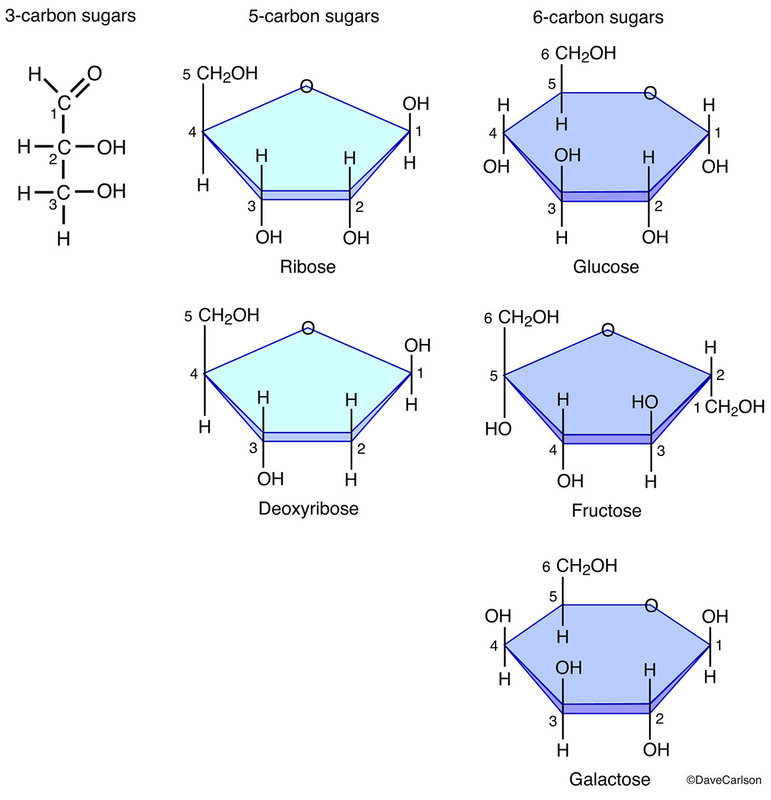 Monosaccharides include glucose, fructose and galactose. They are the building blocks of disaccharides such as sucrose and lactose, and polysaccharides such as starch and cellulose. Image © copyright by Dave Carlson.